On Monday the Secretary of State for Exiting the European Union, David Davis set out an agreement on the nature and length of the implementation period. We were clear at the outset of negotiations that specific arrangements should be agreed for fisheries during the implementation period. Our proposal was that we should sit alongside other coastal states as a third party and we pressed hard during negotiations to secure this outcome. We are disappointed the EU was not willing to move on this point. However, the amendments we secured clarify the UK’s share of quotas will not change during the implementation period and that the UK can attend international negotiations. Furthermore the agreement includes an obligation on both sides to act in good faith during the period of the implementation period. Any attempt by the EU to operate in a way which would harm the fishing industry would breach that obligation. 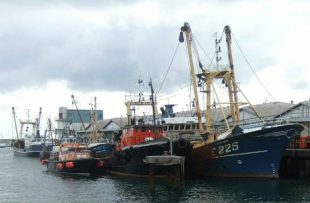 The agreement has prompted significant national coverage and some concern from fishermen. Yesterday, Defra’s Secretary of State, Michael Gove acknowledged fishing communities are disappointed but made clear there is a ‘significant prize’ at the end of the implementation period. He also reinforced these arrangements will only apply to negotiations in 2019. The UK will be a full member state for negotiations in 2018 and, critically, by December 2020 we will be negotiating fishing opportunities as a third country and independent coastal state completely outside the Common Fisheries Policy. This means that we can decide who can access our waters and on what terms for the first time in over 40 years. Today the Government Office for Science published a report looking at the global challenges and opportunities for our oceans. The Future of the Sea report sets out just how important our marine environment is, and how government, scientists and industry can make sure we make the most of our maritime assets. 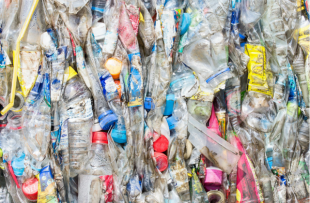 The report has been picked up widely by media, focusing in particular on projections the amount of plastic in the ocean will treble by 2025 unless action is taken. The Daily Mail, The Times, Telegraph and BBC Online all lead on this point – alongside looking at the opportunities for the UK to cash in the global "ocean economy", which is set to double to £2 trillion by 2030. Our oceans give us more than half the oxygen we breathe, support 80 per cent of the world’s biodiversity, and provide employment for billions of people. That’s why we welcome this report, which shows the importance of the marine environment to the UK and the role our world-leading marine science can play in ensuring the sustainable use of our oceans in the future. “This report shows tough global action is needed to protect our oceans and marine life, and once again the UK is leading the way by tackling plastic waste – banning harmful microbeads and taking nine billion bags out of circulation with our 5p carrier bag charge.